I tend to float towards Vitamin C also known as L-Ascorbic Acid because of it's anti-ageing and skin brightening properties being someone who suffers from pigmentation - monthly - it's no joke, a week before my period, spots begin and no matter what they'll leave a mark if not caught quick enough. I've got to be prepared, I've gone back to using the sk:n Intense Blemish Lotion, which I swear works because I felt a spot coming on my nose bridge, I got out of bed and applied it straight away and I've not seen that spot appear. 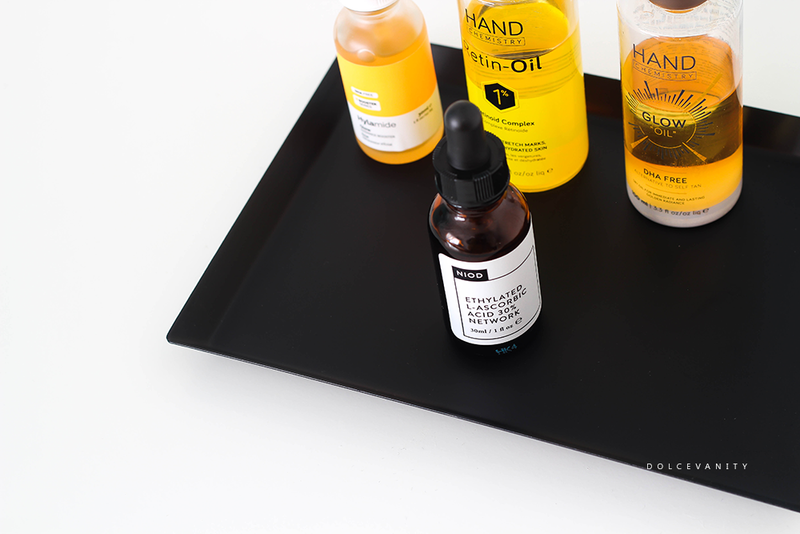 Anyway onto NIOD, I've mentioned them before as I featured the Photography Fluid, which I adore, I've tried a few from the DECIEM brand and their products are flawless to me, they're effective. So what did I think about this one in particular? Being that there are various types of Vitamin C, L-Ascorbic Acid is the one that's had the most research for skin therefore, it's the safest to use. ELAN has a 30% concentration of highly stable Ethylated L Ascorbic Acid within an antioxidant network of 10% Niacinamide (Vitamin B3), Selenium and Zinc. All of these have a strong fight against oxidation while enhancing the skin's barrier function, helping visible discolouration, reviving skin tone and supporting collagen production and repair mechanisms! Vitamin C has powerful anti-oxidants making it great for anti-ageing. High concentrations of Vitamin C can do wonders. Want more tips on how to get rid of pigmentation? Read this popular post. I added it to my nighttime routine because this is the time it's only to be applied. 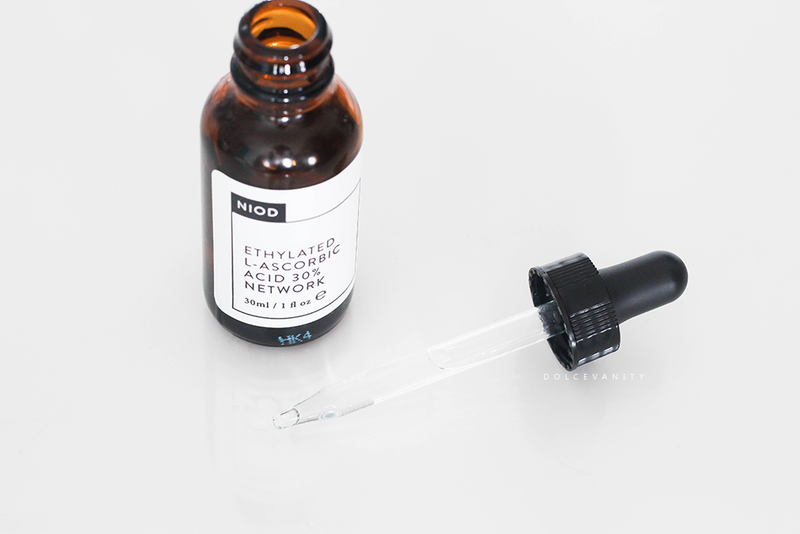 It's not part of the NIOD core routine (where you'll use the products in combination) so it can be used with other products, I will do my cleanse, serum, ELAN then moisturiser, as it needs to be after a serum but before heavier products. I experience no redness, irritation, burning - nothing. Perfect. Since using this I've noticed my skin has started to become even, I did switch up my skincare routine ever so slightly. I'm doing a two step cleanse (oil & foam or foam and lotion), sk:n Pore Refining moisturiser or an oil, the oil varies as they're all dope! Right? Now besides the week before my period starts my skin rarely if ever gets spots, unless my diet is crappy! The ELAN has a texture, I can't explain it, it's like water but if I rub it between my fingers, I don't like the feel but when applying it on the skin it feels silky and a tiny bit tacky a moisturiser is recommended for my preference but I make sure all layers are given a chance to absorb into the skin before layering. [PREACH MOMENT] Also even though you should be already, following using this in the morning please use SPF whether actual sunscreen or within products. Overall, I'm quite satisfied with the product, it's quite high end at £50 for 30ml so not within everyones budget and it could be a touch and go result, it's slow working but effective as I've said my skin has evened up a lot since using it and it makes handy when I start to get blemishes that break through as this kicks in to help diminish them before they scar too deep. Honestly, these products sound really amazing. I really need to try take care of my skin more, I'm going to do a little more research and then test them out! Ah having an even skintone is what I strive for. Enjoy the research! This is a pretty serious skincare regime which obviously gives you great results. I have tried a vit C serum but I'm not sure it made a huge difference. I think it also depends on the strength of the Vitamin C, it's always good to start of low and build up I believe. Sounds like an interesting product. I've never used anything like it before but I usually take vitamins! Always important to get those Vitamins internally, I always believe how you treat your inside reflects to your outsides! Deciem as a brand, are excellent. They've got a huge range of products. I have some of this at home. What a co-incidence. It works really well too. Yay, so you know how well it works. I'm glad it's been co-signed. I definitely need to shake up my skincare routine and I should probably incorporate more Vitamin C in it. Always nice to have bright and even skin, should definitely give it a try if possible. This sounds like a very good range of products. I'd love to try the oils! Oils are great for all types of skin. It's finding the oil that works with your skin type & needs. These all look and sound so good, I need more Vitamin C products. Vitamin C for me is a must, always need even and brighter skin. Wicked! That's good, NIOD are such a great brand. These sound really good, I do love skin products with vitamin C.
Me too, very essential for me. I hope it pays off in years to come lol. This sounds like a really interesting product. I need to take better care of my skin for sure. Getting a stable and effective skincare routine takes some time. I love products like this. Would love to try this. Should definitely try them out, the brand has so many great items. I never knew what absorbing acid was. Think I need some of this as I am so uneven since pregnancy. Aw, yeah this could help your skin tone even and brighten up. 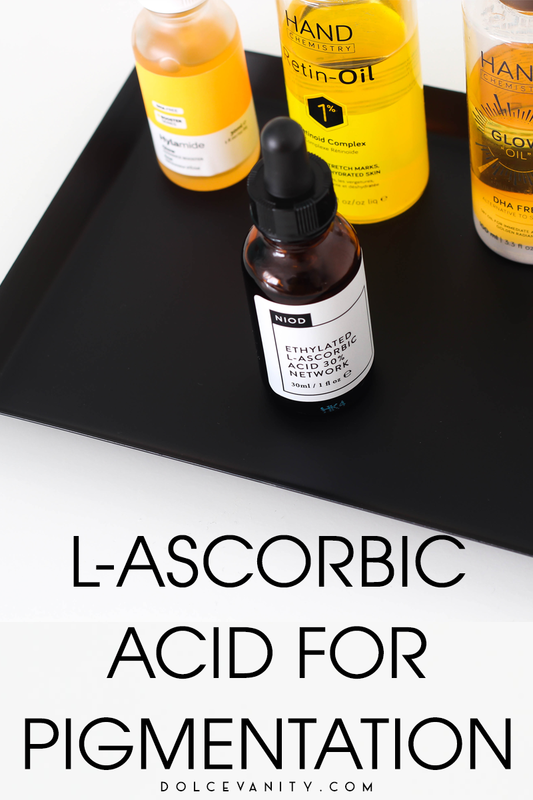 This sounds very interesting - I've never tried any L-Ascorbic Acid products before but I do love trying out new skincare products! It's nice to try out nice products, even better when they react positively instead of negativity lol.